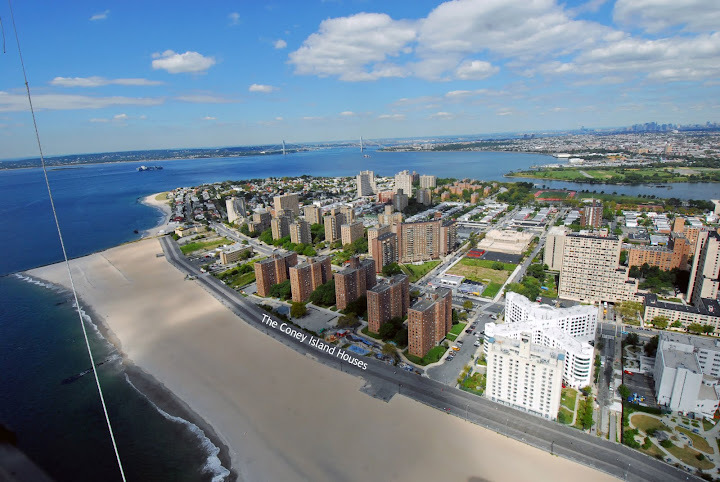 The Coney Island Houses: Coney Island Now Has A New "Talking Historian"
Coney Island Now Has A New "Talking Historian"
The Coney Island History project proudly appoints Coney's 'landmark' meat market's proprietor, Jimmy Prince as Coney Island's "distinguished talking historian." 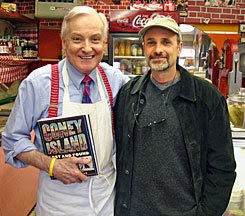 After Prince retires from Major Meats store after more than fifty years, he will be working with the Coney Island History Project at their exhibit under the Cyclone roller coaster to share his Coney Island memories with visitors. Jimmy Prince began working at Major Market as a young man in 1949 and became the shop's proprietor in the 1970's. The storefront is emblazoned with signs that say "Coney Island is Coming back Folks, Let's Watch it!" and "It's Major's for your Barbeque Specials." Founded in the 1930's, Coney Island's oldest butcher shop is a throwback to the days when the entire length of Mermaid Avenue, from Stillwell Avenue to Sea Gate, was a bustling retail strip serving a predominantly Jewish and Italian population. The shop was one of the few survivors the area's downturn in the 1960's and 70's, and, later, the incursion of supermarkets. Prince will also star in an upcoming documentary by Charles Denson, executive director of the Coney Island History Project. The documentary with premier this summer.